Join the discussion on our forums! 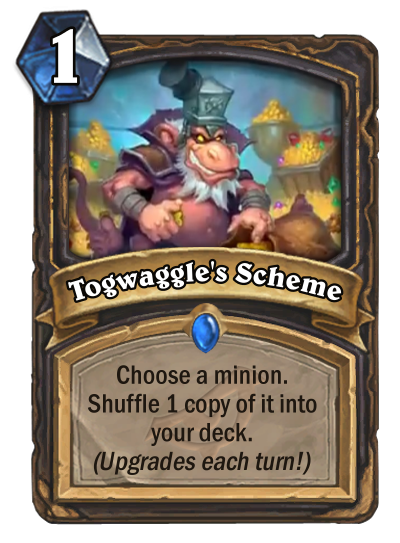 Come discuss Togwaggle's Scheme over in our dedicated Togwaggle's Scheme discussion topic. "Many minions equals many treasures for king. Kobold arithmetic!" You can target enemy minions as well. 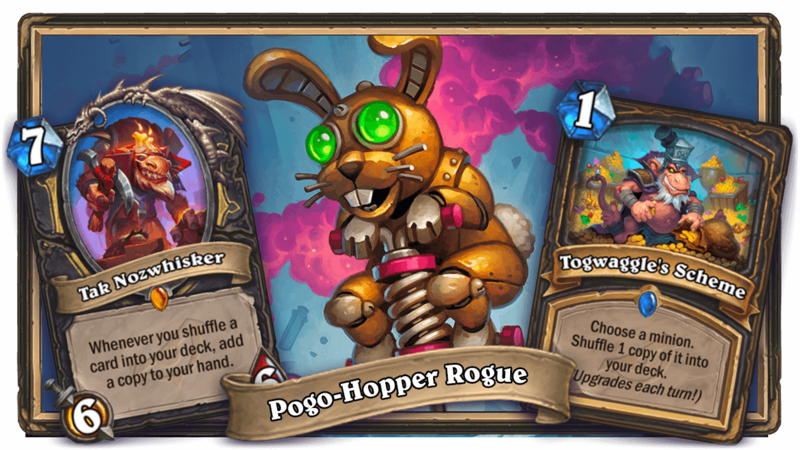 Shuffle class cards in your deck to activate effects of Vendetta or Underbelly Fence. Gang Up , I need to be surprised ? 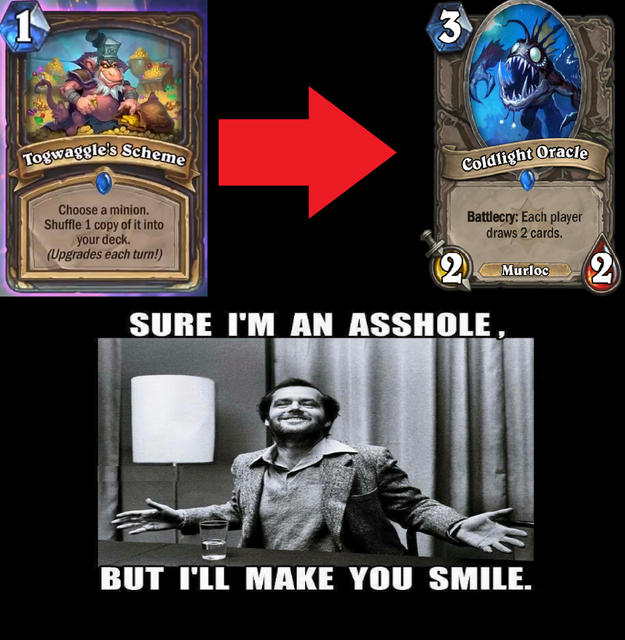 I'm using one class (Rogue) to play and u give me this card.... what would i say ? incredible? I lied in this application? Just give a feedback, instead of minus this post.